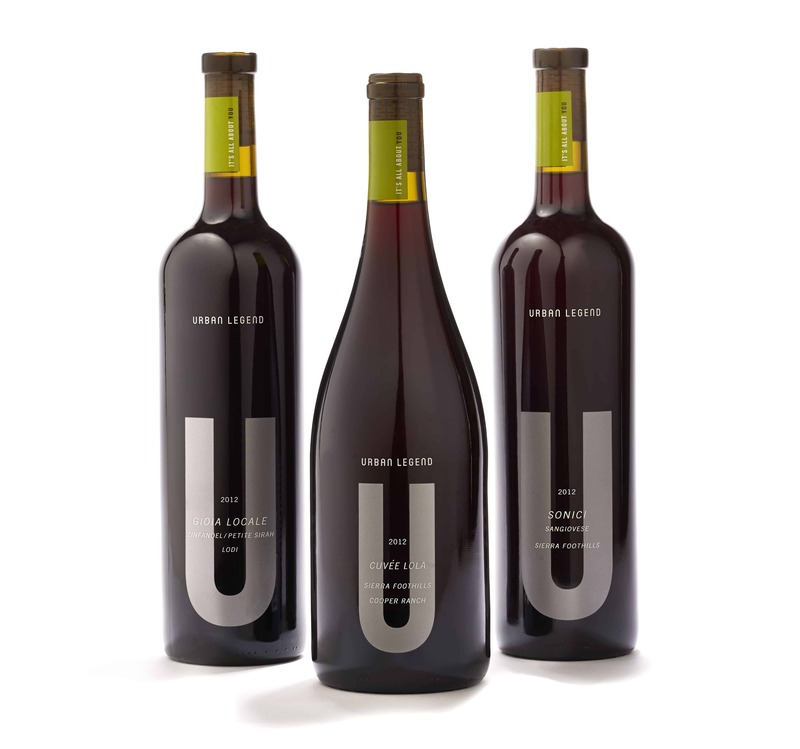 Urban Legend is the anti-snooty winery based in Oakland, Ca. We helped reposition them with an inclusive tagline, clean, approachable design, and fun, somewhat fact-based urban legends and food pairings on the back of each bottle. 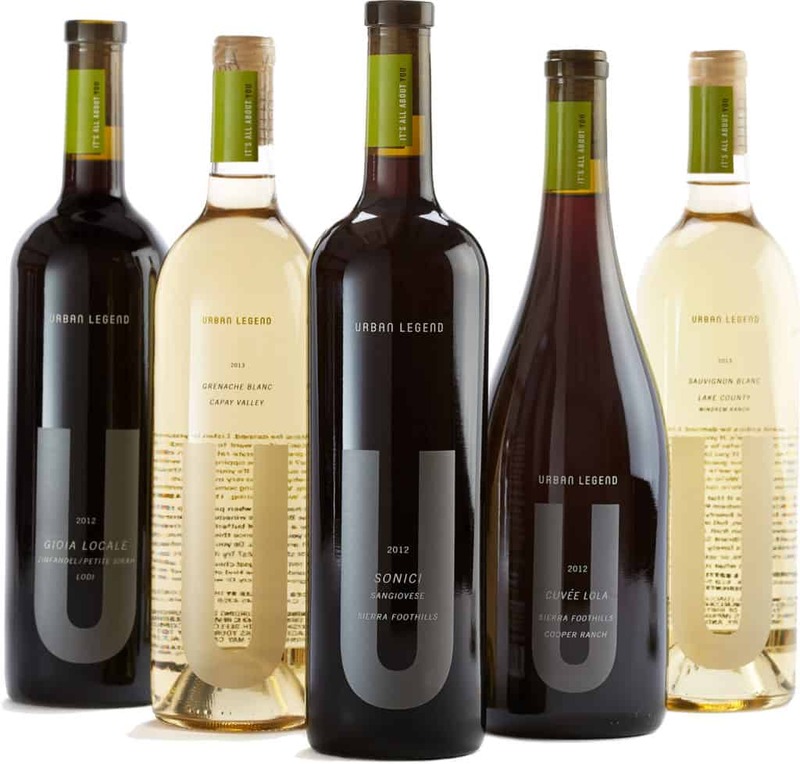 The challenge was to re-position a small Oakland winery from a local boutique winery into one with broad, national appeal, while giving the current name, Urban Legend, meaning. 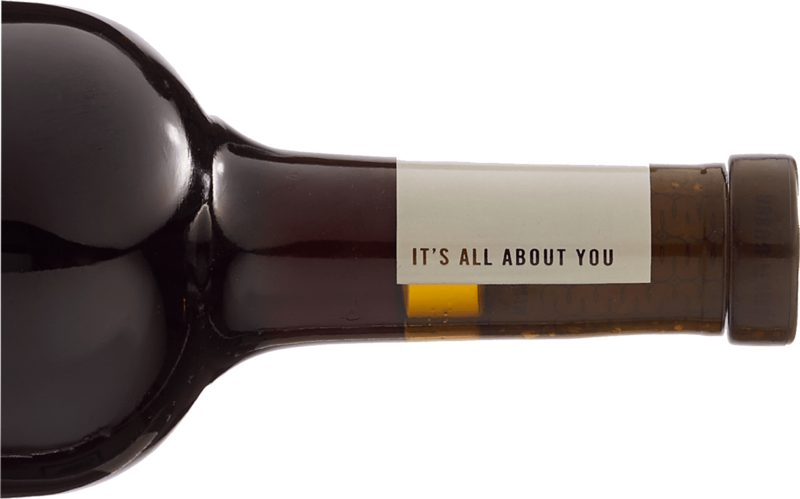 After interviewing current customers, wine buyers and the winemakers themselves, we came up with an overhauled strategy for Urban Legend resulting in a complete new bottle design, and a new tagline, “It’s all about you”. The new design and copy concept represents the winemaker’s bold stance on breaking from the mold with panache as well as caring more about what they—and you—think about the wine they create rather than what the critics say. 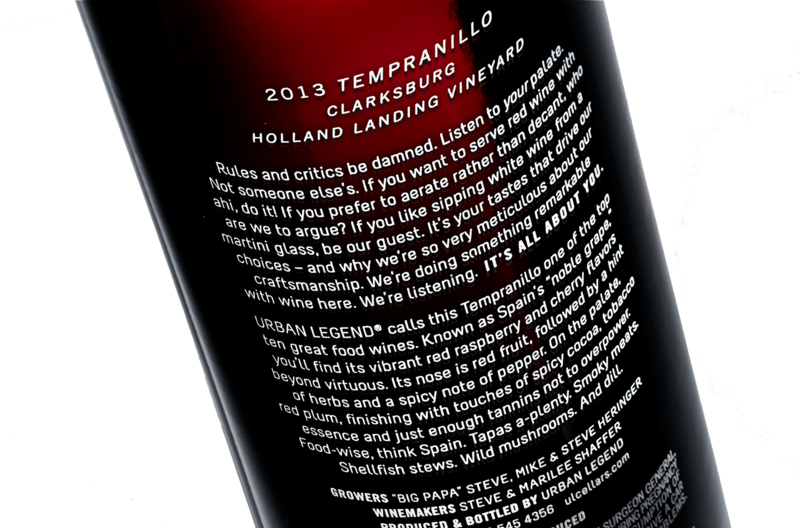 Each wine has a legend printed on the bottle’s back that tells the wine’s story, and a bit about the winemaker or the winemaking process for that particular wine. The Rebrand of The Premium Line. 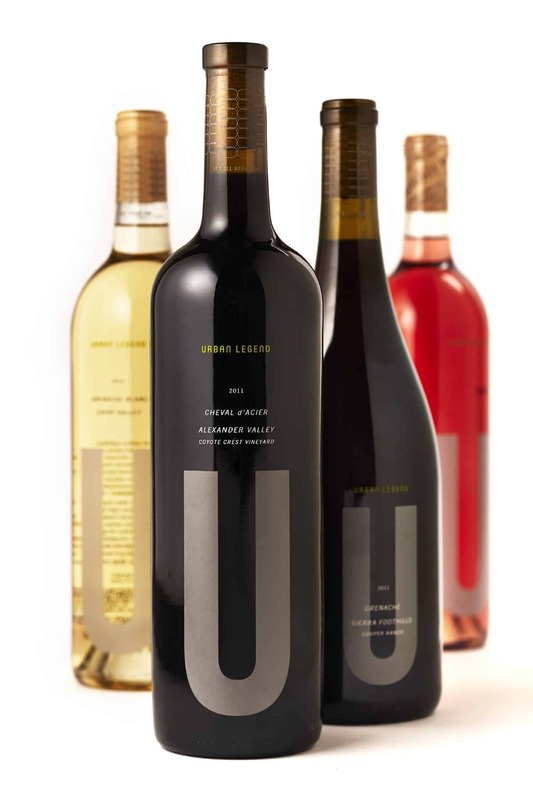 Urban Legend previously had a high-end line of wines that was under the brand name “There.” We encouraged them to fold that line into the Urban Legend brand yet create a unique look with the metallic script “U” to help differentiate these higher-priced wines from their main line. This gave Urban Legend the strength of an un-fractured brand (critical for a company of their size) and still allow them to have a premium brand line extension. © 2019 Frank + Candor. Legal.